Meg Jay, she is a clinical psychologist. 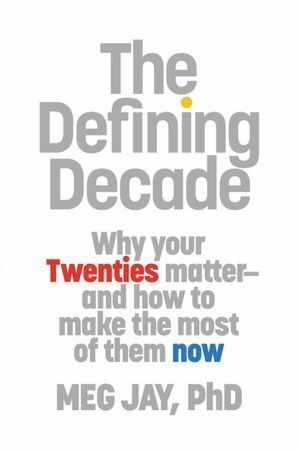 She’s author of the book “The Defining Decade,” about thriving during your 20s. She’s also a mom of two. Daniel Kim is the 33-year-old founder and CEO of Lit Motors. That’s a sustainable transportation company. Dr. Pamela Cantor is a psychiatrist. She works with children. She’s the CEO of Turnaround for Children, which helps improve low-performing schools. She’s also a mom of five and grandmoth er of 15. CANTOR: the tolerance for kids failing is very low, and the requirement for kids to do something unusual – very high. identity capital – it’s a sociologist term. It means that it’s something that said a lot about who I was, what I was capable of, what I was about, and what I might want to do next. So it had a lot of grit, and it said a lot about my commitment to working with people, being willing to work hard. CANTOR: them to like – to really be able to see the opportunity that is in front of them. And sometimes that’s guided by curiosity, but sometimes it’s really guided by disappointment. So do not be afraid to use that disappointment to create something.